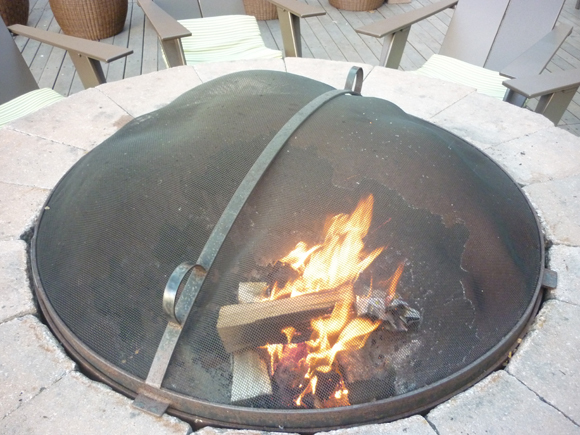 Sunday afternoon marked the official start to the Southwest Porch winter season with the inaugural lighting of the fire pit. Southwest Airlines was kind enough to provide complimentary 'wichcraft hot chocolate to guests at the Southwest Porch last Sunday. But the warmth and hospitality doesn't stop there. You will find the fire pit roaring away at the Southwest Porch every evening, a perfect invitation for a toastie outdoor happy hour, even as the weather turns colder. 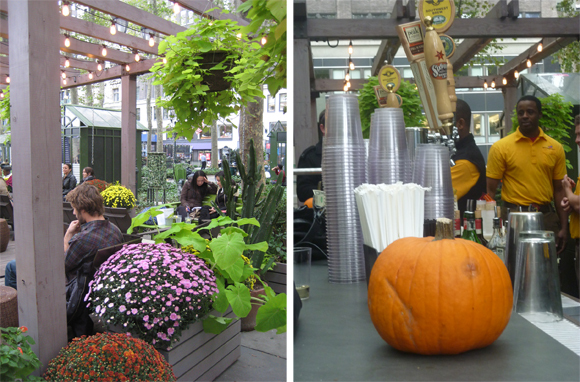 Other seasonal changes are afoot at The Porch with pumpkins, mums, and seasonal 'wichcraft menu favorites like braised beef brisket sandwich and roasted squash salad with parsnip and beets. You never know what might happen at the Porch. Earlier this month we held a surprise O.A.R. 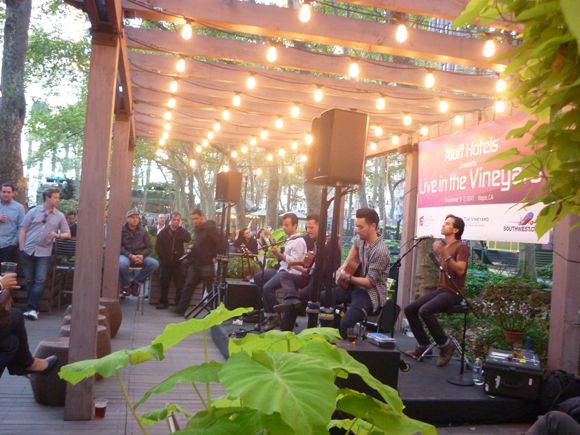 acoustic set in partnership with Southwest Airlines, Aloft Hotels, and Live in the Vineyard.